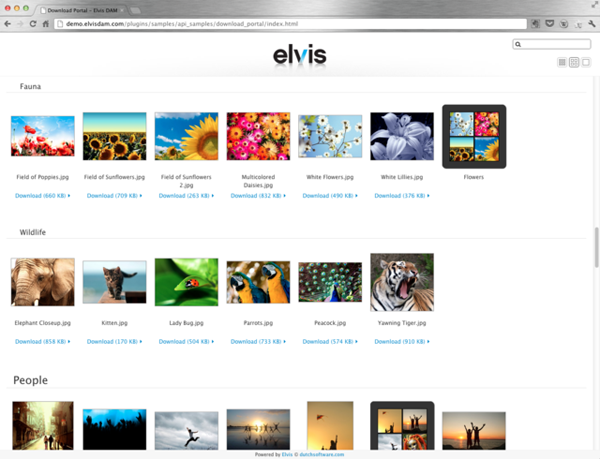 Accessing Elvis DAM through a Web browser is an easy way of giving external users access to the content stored in Elvis. All they need is a Web browser, a link to Elvis and log-in credentials. Each applications is briefly described below. 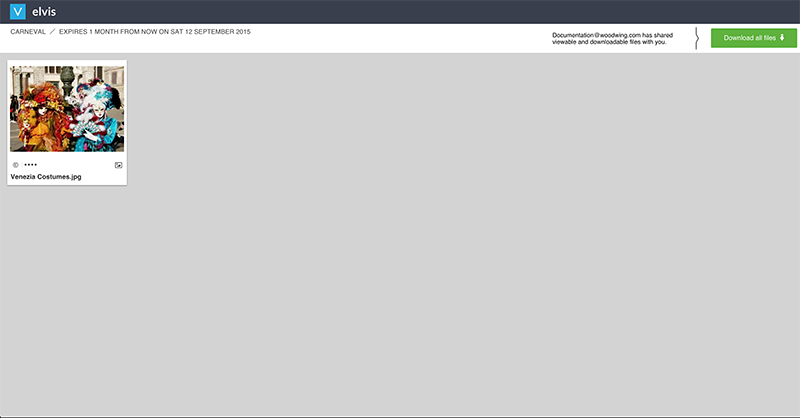 For more information, see Using the Basic Web Client of Elvis DAM. 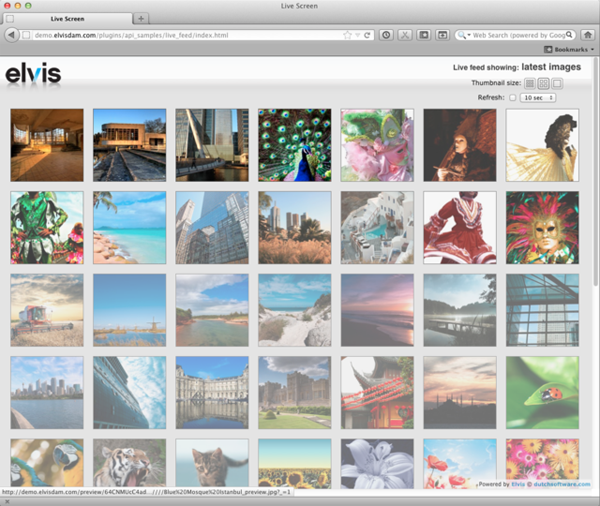 When a file is shared with other users, they access these files through the Shared Links page. Approval tool. 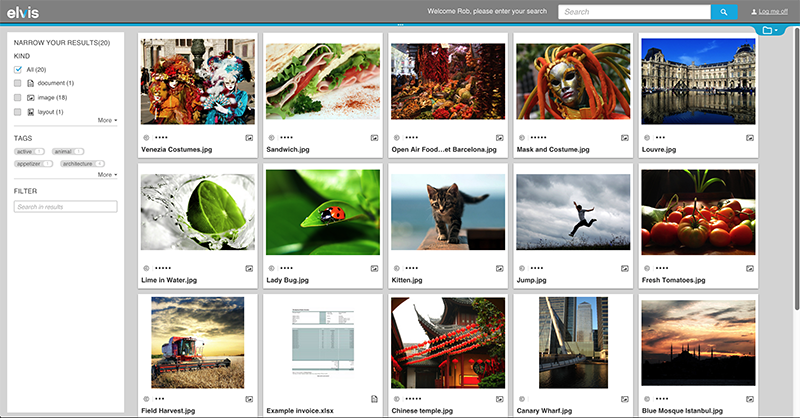 Allows users (external customers, attendees to a meeting) to assign a rating to images, videos and other content. This functionality is provided through a bundled plug-in. Download portal. Used for distributing content. It can be connected to a content delivery service such as Akamai or Amazon CloudFront to provide fast downloads across the globe. This functionality is provided through a bundled plug-in. Live feed. For use on wall-mounted screens in publishing environments to show new material that is being received or to display what is being worked on at the moment. This functionality is provided through a bundled plug-in. Syndication site. 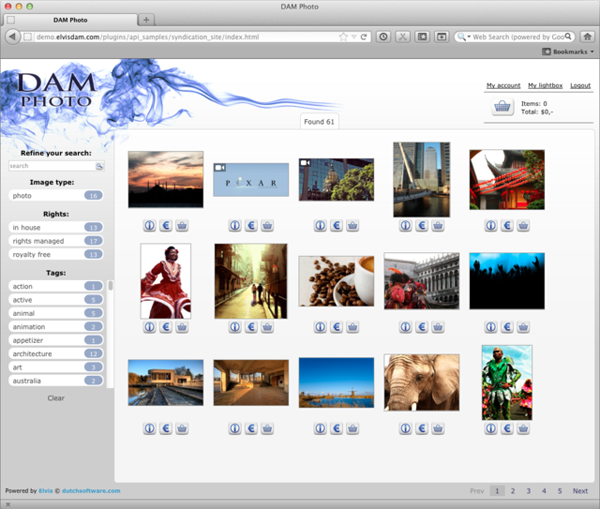 An image and video oriented distribution or 'stock photo' site. 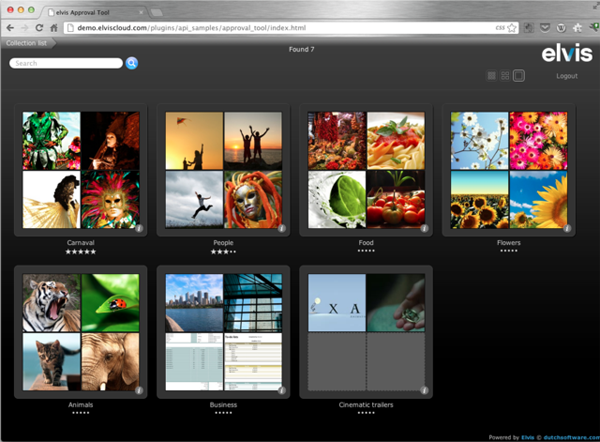 It allows searching, filtering, previewing and buying material. This functionality is provided through a bundled plug-in. Note: This list is not complete, use it as a reference only. The availability of a feature for a user is also influenced by the type of license used, the user type that is assigned and permissions that are set up. Legend: Yes = feature is supported. - = feature is not supported. Shared Links page: use the link that was generated by Elvis (it is typically distributed by e-mail). Open-source Client: use the link that was provided to you.